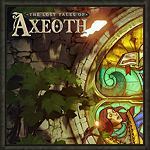 After a small delay, Ubisoft finally released Unity, the first part of the new story campaign The Lost Tales of Axeoth, along with patch 1.7. The Lost Tales of Axeoth: Unity features five new maps taking place in the universe of HOMM IV. The campaign adds new units, heroes, artifacts and buildings. You can read more of the included content at Ubi.com. Patch 1.7 brings once more a bunch of new features and bugfixes. The biggest changes are the removal of level cap in skirmish maps, some balancing changes (eg. a cap in necromancy skill), and improvements to online connectivity. Read the full patch notes for more information.